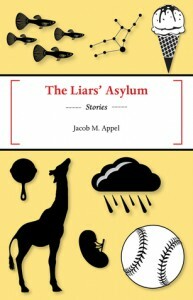 This is a collection of eight short stories. Each one is solid and thought-provoking. They're tales about the frustrations of romantic love. For me, nothing seemed to be missing from any of the stories. I really liked "Prisoners of the Multiverse" which tells the tale of a suicidal physicist and his top student, and "The Summer of Interrogatory Subversion" which is about a young girl turning eighteen and her mother renting out their basement to a graduate student who looked like a medieval shepherd and who was deemed creepy by the girl's best friend. Thank you to Netgalley and Black Lawrence Press for a copy of this book.